Technology is a tool people use to improve their lives. Let’s face it. We’re lucky to get out of bed, get our hair done, and make it to work on time with the same color socks some days. Life with a chronic condition is challenging every single day. I fight fibromyalgia, what’s your superpower? So anything I can do to make my day/week more productive is alright by me. I recently upgraded my iPhone 6 to an iPhone 8 Plus, and have fallen in love again with this silly gadget. We are all too dependent on them some days, but it’s just a tool for getting things done. Getting a newer, faster phone has made it easier to use apps again to help me through the day. My hands and fingers will start hurting after typing or texting for awhile, so it’s nice to have the option of speaking commands like “Text daughter” or “Dial home” to Siri. 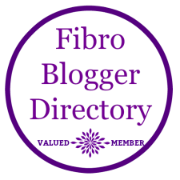 So I thought I would share some of those things that I use to help me survive fibro fog and stay organized, healthy, and manage my pain. This is not a sponsored post. These are things I use every day, most of which I purchased myself. This post does contain some affiliate links. Tasks – I keep separate lists for my Work To Do, Personal To Do, and Blog Ideas. It’s great for jotting down quick thoughts and reminders. While I am driving, I am able to speak some reminders or ideas into my phone. Microsoft OneNote – I love OneNote. I use it every day. I have it synced from my work laptop (Windows), to my iPhone, iPad, and iMac at home. I can also access it from any browser. It’s like multiple notebooks that you can type in, draw in, and add in pictures or links. And it’s searchable. I use this for writing blog drafts, tracking my medical history, keeping meeting or conference notes, writing grocery lists and packing lists, etc. Pretty much, everything! MyFitnessPal (Android and iOS apps, web portal) – I use this to track my exercise and what I eat. I have used it off and on for many years now. Having just finished a 30 Day Challenge, I have found that I stay at my desired weight if write everything down, so I have returned to using this consistently again. It has a huge database of over 5 million foods and restaurant meals, and you can scan product bar codes. It allows you to adjust your macros to your specific need or diet. This was a great aide on my recent business trip to keep myself in check while eating two-three meals a day out. KeeperPass (Android and iOS apps, web portal) – This is a password management tool I have used for years, and I pay the annual subscription for it. As an IT manager I have a lot of passwords for work. Add to that all of the passwords for home. Brain fog or not, sometimes we just forget the myriad of passwords we have, am I right? This allows you to keep track of the site, account name, and password. Easy peasy. And we shouldn’t be keeping passwords written down in this day and age. This app is the bomb. I use it almost daily. Try it free for 30 days here. Podcasts – Great for listening to on the drive to/from work when you are tired of the same old morning show or news radio. I listen to a lot of motivational or health podcasts, and there are so many to choose from. Some of my favorites are: JJ Virgin, John Maxwell’s Minute with Maxwell, Beyond the To Do List, Happier with Gretchen Rubin, and Laila Ali Lifestyle. Blinkist – This app is like cliffnotes that you can listen to your car, in the waiting room at the doctor, or in bed. Sometimes our attention span is short. This gives you high-level points of books, and you can then decide if you want to buy the book and read/listen to the whole thing. Manage My Pain Lite (Android and web app): Another app for tracking and spotting trends. Also good for chronic back pain, arthritis, headaches. Catch My Pain (iOS and Android): Let’s you log symptoms and pinpoint where on the body they are, so you can better explain to your doctor. Also record stress, fatigue, and medications. Vital Tones Fibromyalgia (Android) – This helps with a natural approach to relief by using sound therapy to stimulate the brain. Quell Relief (iOS and Android) – The app goes along with the device listed below, to track pain, activity, and sleep to help better manage treatment. You can find a variety of other apps for tracking your sleep and mood, playing sounds to help you sleep, and tracking your pain or symptoms. Fitbit or AppleWatch: I have been a FitBit addict for years now. But since I am getting away from the treadmill and moving to yoga, I needed to upgrade my device. I still use the FitBit to monitor sleep habits, but have switched to the AppleWatch for monitoring workouts. I use it’s health app which sync’s my workouts with MyFitnessPal seamlessly. TENS (Transcutaneous electrical nerve stimulation) – This uses low-voltage electrical currents to relieve pain, by stimulating the nerves in an affected area and sends signals to the brain that block pain signals. Mine was prescribed by a pain management doctor for my back issues (it is similar to the one picture below), and it is a life-saver when the pain becomes severe in my lower back and hips. I will wear it to work and usually run it 30-60 minutes on and off. I even took it with me when we travelled to Europe several years ago. Oska Pulse – This uses electromagnetic pulses to deliver pain relief and stimulate joint and muscle recovery. I use mine when my I have acute pain in my back, hips, neck, or shoulder. If I am icing some body part, I will have this next to me. At work, I will keep this in my pants or jacket pocket. Quell Relief – I have no experience with this device, but it stimulates sensory nerves in the legs to reduce fibromyalgia pain. Used in conjunction with the app mentioned above to track pain, activity, and sleep to help better manage treatment. Apple iPad – Years ago when I had neck surgery my boss purchased me an iPad so I didn’t have to carry my laptop all the time. This is so handy for meetings and travel that I rarely take my laptop on trips anymore because I can do most everything from my iPad. It has all of my productivity apps, email, and schedule. I can take all of my notes, do blog posts from here, picture editing, plus I can remote into the office, which I did several times on my last trip. I even used it in a mobile software class that I took, instead of borrowing one of the loaner devices. 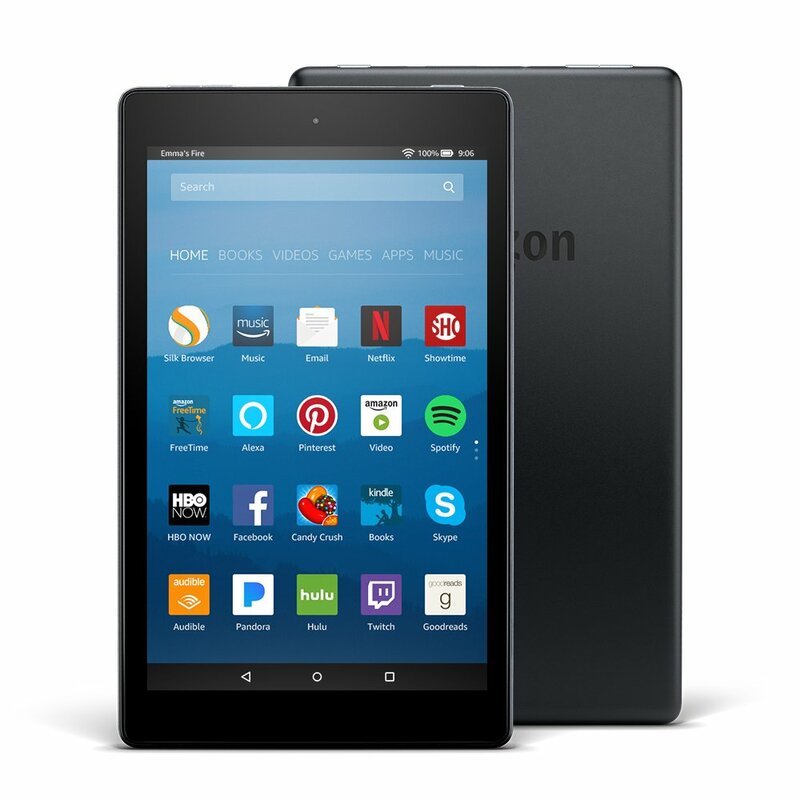 Kindle Fire – As much as I love reading magazines and books, I have a lot of difficulty holding them for very long due to my fibromyalgia. My arms just get tired and very sore after a few minutes. I keep this by my bed for reading, plus it has a lot of the same apps as my iPad, and it’s much smaller. I can check email or social media, and watch Netflix just fine. And at night, it emanates less light than the iPad while my husband is sleeping and my iPad is charging in the other room. Beats Solo 2 – These bluetooth wireless headphones are great. They sync up to all of my devices, and they are lightweight. I like to use them on airplanes so I am not tangled up in cords when people want out, and to help block out the noise on planes. I use them around the house as well. I will say, however, they do start to give me a bit of headache after a few hours, so I limit my use to just a few hours at a time. I have not ventured into the world of Alexa, Echo Dot, or Google Home. Having Siri to talk to is enough for me. But these devices can be useful at home for people who are more bedridden or home-bound than I am. (Maybe a great Father’s Day present for someone?) 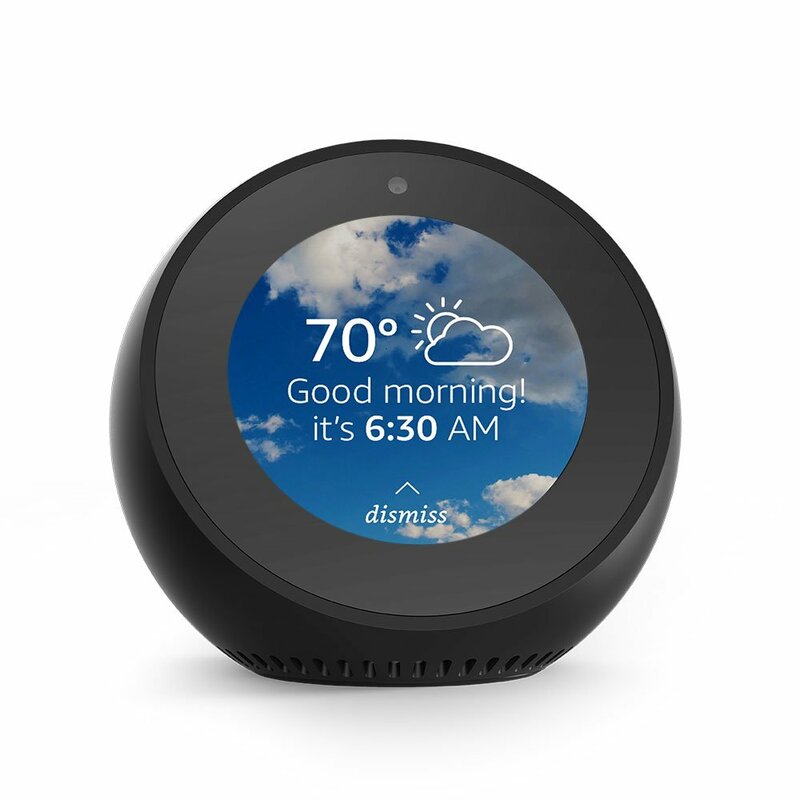 Amazon has all kinds of deals on home devices, including 3 free months of music when you purchase an Echo Dot, or you can get their dash buttons for those things you need to buy at the push of a button – an Easy button! 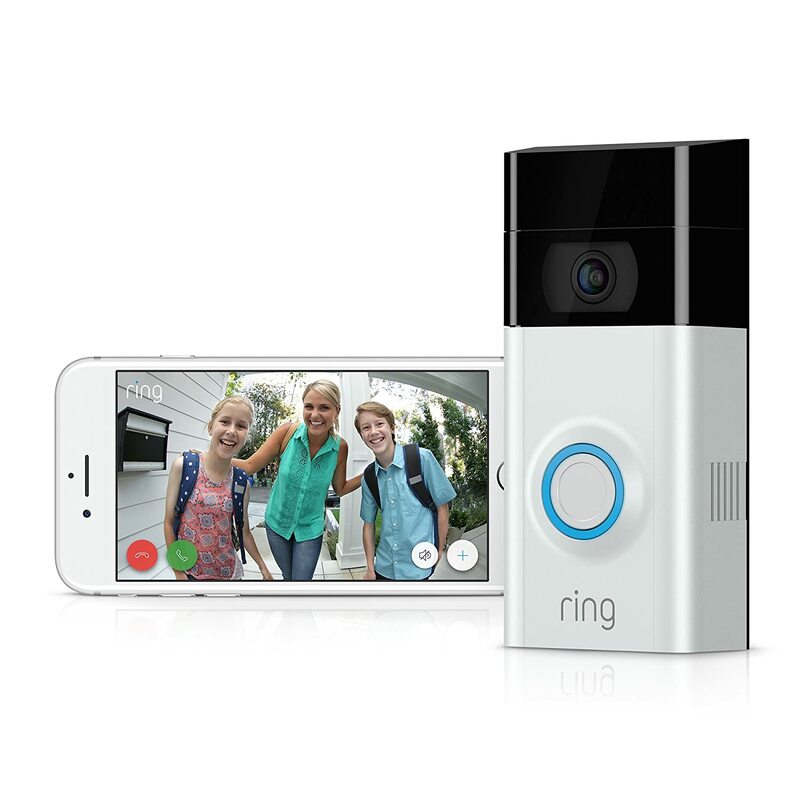 There’s also the Ring Doorbell for you to see who’s at the door on your smartphone. Great if you’re not home and are expecting a package or if you’re stuck in bed due to your condition. No need to get up for the guy trying to sell you on treating your yard for bugs. And while it’s not really an app or a tool, but it is using technology to make your life easier, have you tried meal delivery kits or grocery shopping online yet? 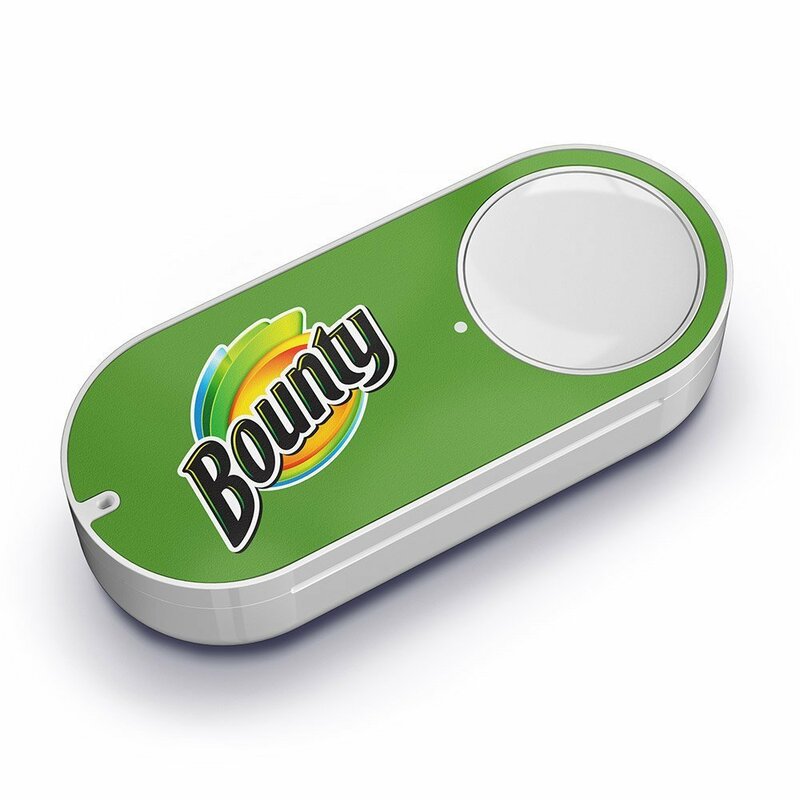 So glad online grocery shopping has made a come-back. I first used it when my (now 23-year-old) son was a toddler! Not sure why it didn’t catch on twenty years ago. I have several local grocers that will deliver or have it ready for pick up. I order online, schedule a time, pick it up, and don’t have to get out of my car. Great for those weeks when it is just too much for me to make that trip or life just gets in the way. While I know this list isn’t comprehensive and what works for one doesn’t always work for another, but these are the things I currently use to help me navigate brain fog and fibro pain, and help my days be more productive and pain-reduced or pain-free. I hope you’ve gotten some useful tips or ideas to help you build your technology tool-kit. What apps and tools are in your toolkit to help you manage your pain or get through the day? Thanks for this – I’m always looking for new ways to get benefits from the apps on my phone! This is great! I use MyFitnessPal, note apps, and Tens Units. Thank you for the other tech! I didn’t know some of this existed!